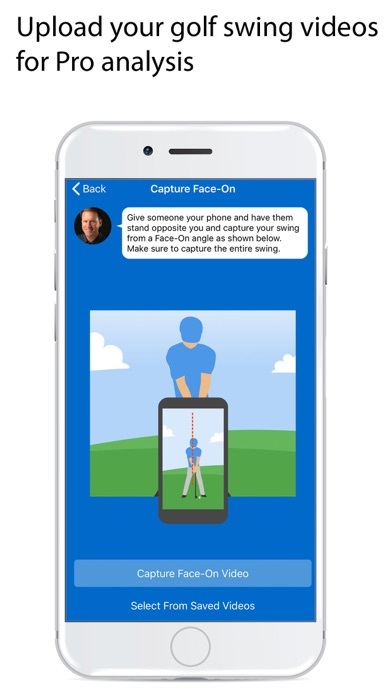 IOS App Developer: Swing AI, Inc. The Swing Index: The golf metric that shows you how good you can be. A must-have for any golfer that wants to understand how good their golf swing could be, the Swing Index is developed by fifty of the world's top golf instructors. 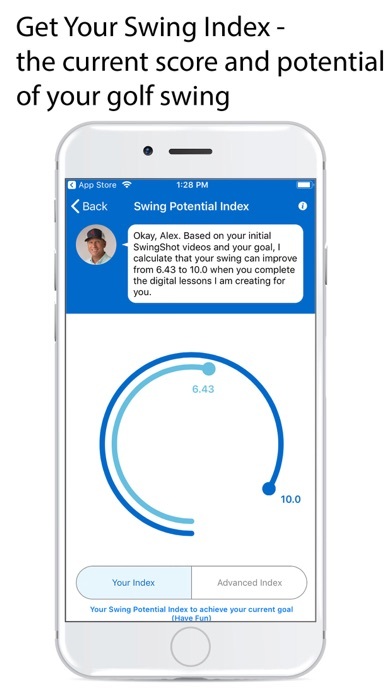 Swing Index enables you to upload your golf swing and have a world-class teaching pro personally review and score all 21 elements of your swing. Your Swing Index is then calculated showing you how much potential you have in each area of your swing. - Living Metric: The Swing Index is a living metric - as your golf swing improves so does your Swing Index. - Ranking: See where your swing ranks across all amateur golfers. 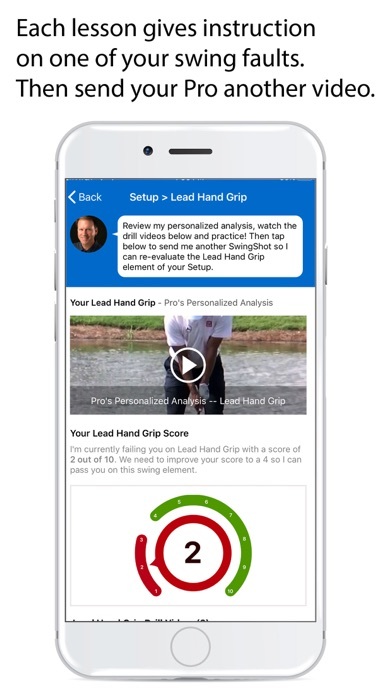 - Personal Swing Coach: Your Swing Index includes personalized voice and visual drawing annotations of your golf swing by a world-class SwingAI pro on how to understand and improve each of your specific swing faults. Great app! Has really helped my game in a short period of time. I feel much more confident with my swing after the instruction. This app has really allowed me to improve my game. Thanks!!! Great app. Works really well and has high quality golf instruction that will really improve your game. Highly recommended. 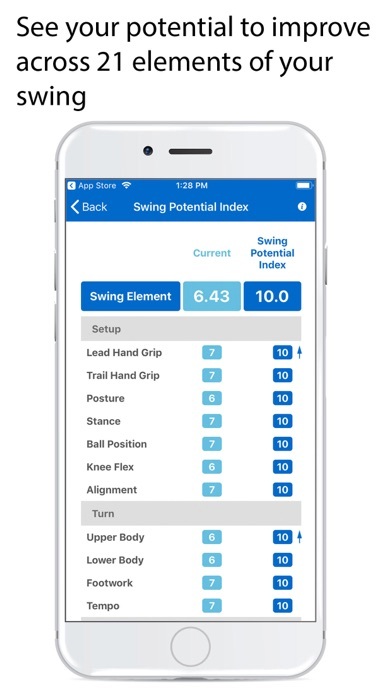 Prior to getting my swing Index I was self taught but with this mobile app I am able to get game improvement when it works for my schedule! No expensive equipment just my phone and a friend to take my videos! 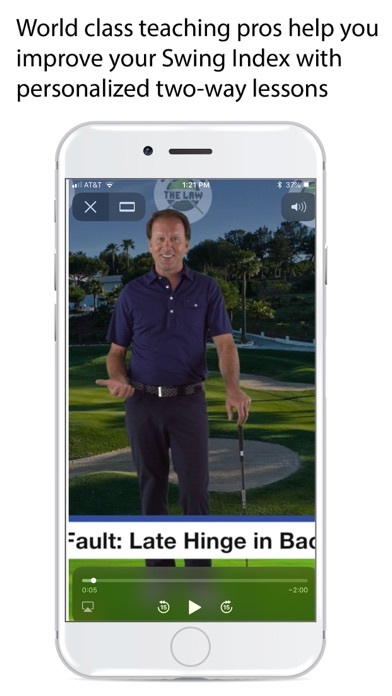 l had a body sequence issue and with the drills provided in the app and the personalized explanation of what I did well and what I need to work on it’s really helped me improve my ball striking and scoring! Love the Swing Index ! As a beginner female golfer, I was able to understand each part of the swing and move at my speed. I saw immediate improvement in my golf swing and am now playing more golf because it’s enjoyable. What a wonderful innovation. So many swing analysis options online are a simple one and done, but the Swing Index delivers several swing reviews and a clear, easy to follow roadmap that makes it easy to improve my golf swing. Used to be a great app, now it’s bugged and makes me update the app when it’s already been fully updated. Won’t even let me open it up now. This app has helped me play better. There is nothing better than having a lesson while you are playing a round. Top teaching instructors! The Swing Index is a must have for any golfer wanting to improve. It the first time that I have purchase a product that delivered immediate game improvement. The Swing Index provides a simple way to understand how to improve based on your goals and your swing. The best $30 dollars I have ever spent on golf. Also, Scott Munroe is an awesome digital golf coach and highly recommend him. More IOS Apps by Swing AI, Inc.